Sometimes, you just need a quick, but pretty, card to get it out the door. Say it’s a birthday that snuck up on you, or a Facebook birthday notice for a friend that you want to send something more than just an electronic greeting. 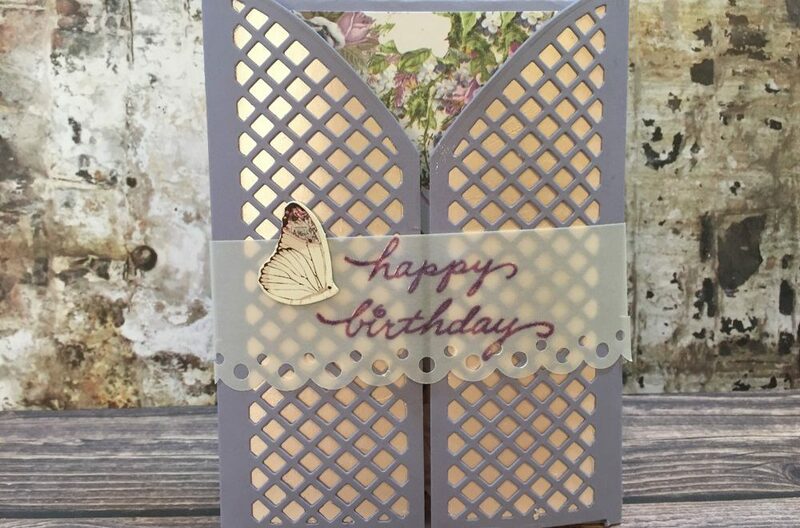 This pretty die cut card, featuring the gorgeous paper from the Prima Lavender collection, fills the need for fast yet elegant. 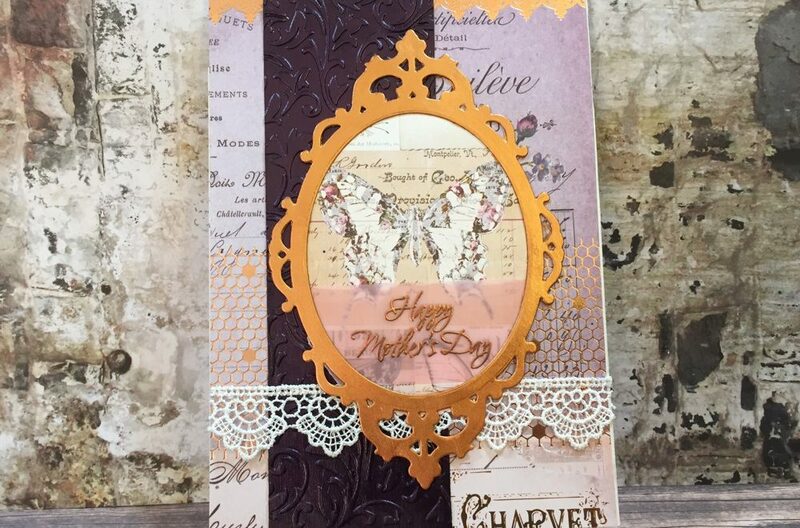 The featured die, from Scrapbooking Made Simple (SMS), is the heart of this card. It’s a beautiful swirly die that provides a ton of versatility. 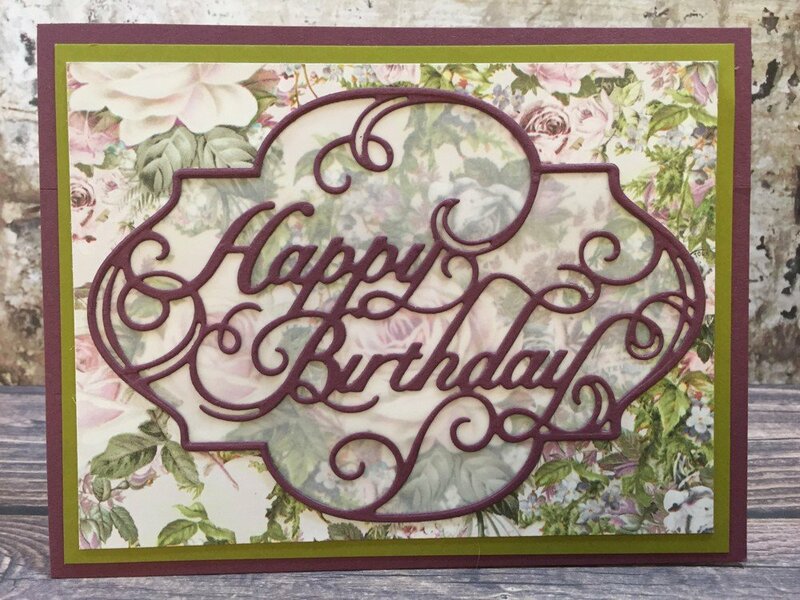 The set consists of a frame, the Happy Birthday inset label, and a set of four corners. With these pieces, you can make several varieties of cards depending on which elements you choose to include. I chose to use the birthday label as well as the frame die that goes around it to create a standalone piece. As of this posting, there are three other dies in this collection, in addition to this die, still available on their website. 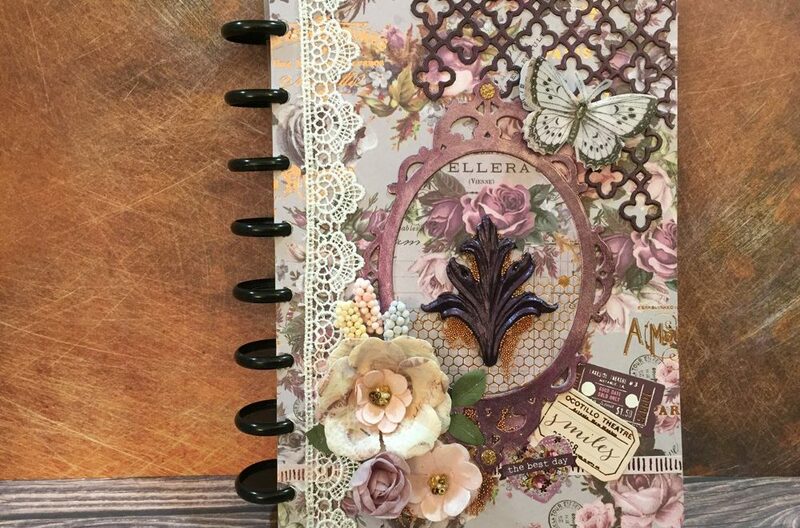 For the papers, I again chose to use the B-side of the Communication Through Love sheet from the Prima Lavender collection. This one sheet has given a ton of versatility in the projects I’ve done with this collection. 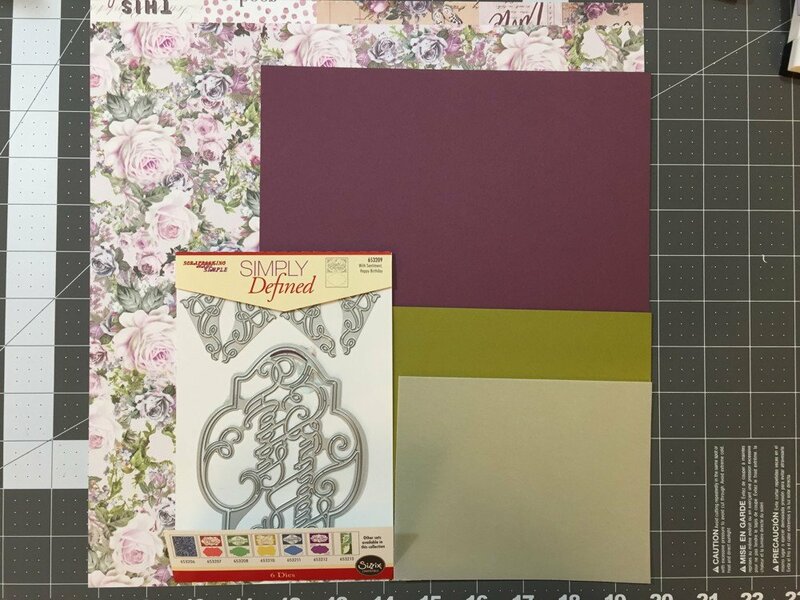 The Fresh Fig Stampin Up cardstock was the perfect match to the purple tones in the Prima paper. While the green cardstock pulls out some of the background leaves that can get lost in all the flowers. There are two secrets to making this card work. First, make sure you adhere some double-sided adhesive to the back of the piece of purple cardstock you’ll use for the die cut. It’s much easier to stick it down than if you try to glue it onto the vellum after cutting it. Second, tape together the frame and the inset label before sending it through your die cutting machine. Even if you’re using a magnetic plate, it’s easier to position it this way. And don’t throw out the leftover piece from the label die cut. It can be used on other cards. This card is the third in a series of five projects using this collection. You can find all of the posts by clicking here.